Joyce Cheng’s New Boyfriend is Her High School Friend? Everything comes full circle, and after breaking up with her photographer boyfriend Silas Lee two years ago, it is speculated that Joyce Cheng (鄭欣宜) has found new love in a person she never thought would come back to her life. 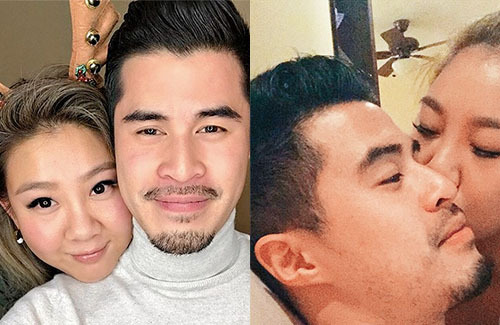 Around Christmas time, 30-year-old Joyce shared an intimate picture she took with a man who reporters later discovered to be Peter Chiu, an old classmate. Joyce called him “[the] love of my life.” Peter, who is also 30 years old, is a dentist and enjoys traveling and doing outdoor activities such as snowboarding. Peter attended the same high school as Joyce in Vancouver, and though they kept in contact even after Joyce moved back to Hong Kong, it was reported that the couple didn’t see the potential of a relationship until recently. Reportedly, Joyce is already calling Peter’s mother as “mommy” and calls Peter her husband. Joyce has neither confirmed nor denied these reports. 13 comments to Joyce Cheng’s New Boyfriend is Her High School Friend? prove beauty is not everything what important is inside, good job Joyce! Yup and not every guy is shallow and goes after physical beauty. Hope Joyce finds happiness and love. Sad that mum had to leave her earlier than usual. Oh wow her new bf is hot ! And seems really sweet and compatible with her. Her ex Silas has been dating a Youtuber for a long time now and appears in her videos all the time, glad Joyce moved on too. Cute couple.. hope she find happiness for sure. Joyce went to Crofton House (a private girls’ school) in her high school years … I bumped into her/her mom a few times in Dunbar – a neighbouring hood next to her school in Kerrisdale Vancouver. Maybe this was in her earlier high sch yrs. GOOD for her! They look great together, I really hope it works out this time for her. Always rooting for her, since her mom passed. It’s really sad how she has continued along valiantly after losing her close-knitted family members so early in life – mom and grandma. She grew up so fine, even without the close umbrella of her distant dad … and even Godpa Alan Tang left. @nomad822 Yes, sad that Godpa Alan Tang who seemed protective of her and mum, left suddenly too. 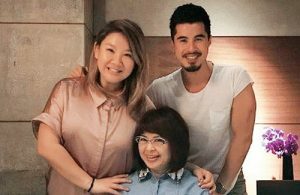 I remember the time when the prolific songwriter Liu Jia Chang wrote her a song to sing to mum on stage; and mum keeping a happy face on wheelchair … it was like a goodbye ‘party’ to mum. So sad. @jayne Oh nice! And JayneStars has FB? What it is? Gross. Who would ever date a white-worshipping Asian girl who dates whiteys? Any Asian guy of value should realize that she’s dirty now and forever unworthy of commitment. Dude can do so much better.